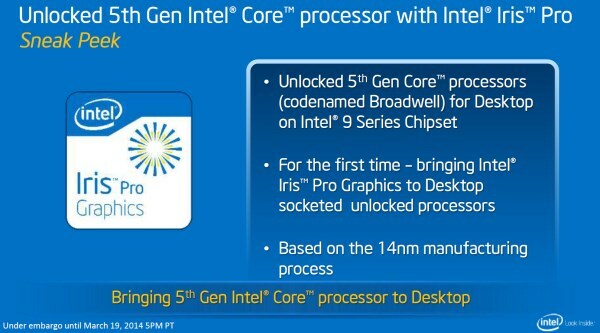 Intel’s efforts to roll out Broadwell into the market reached another milestone just moments ago with the official announcement of the new U-series line-up under the company’s 5th generation Core family of processors. However, this doesn’t mean the end of the story for Broadwell because Intel still has few more 5th generation Core processors to unleash to the market before the company move on to its next microarchitecture called Skylake. By that, we actually mean the Broadwell processors for desktop PCs and performance laptops. 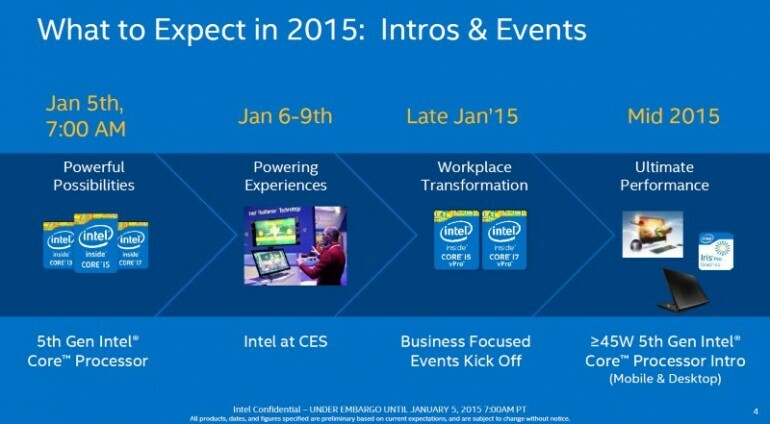 According to the slides from the media presentation for Broadwell-U that Intel has provided to us last month, the Broadwell processors that designed for both segment of the market will be meeting consumers sometime in the middle of 2015. However, Intel didn’t reveal any release date for these processors. That being said, the slide did stated that these processors will have a TDP rating of more than or equal to 45W. Additionally, these upcoming processors or at least some of them will also be equipped with Intel Iris Pro Graphics which is something that the company has announced back at GDC 2014 that took place almost a year ago. Well then, guess we have to wait a bit longer before we are able to see the advantages (or shortcomings) that Broadwell processors with Iris Pro Graphics GPU have for consumers out there. We’ll keep you posted when the time comes.